Don’t be surprised if you find yourself humming a few bars of John Denver’s “Country Roads” on your drive home. That’s the feeling you get when you live at The Farm at Woodridge. Ideally located just north of Longmont, the gated community of custom homes is surrounded on all sides by pastures, conservation easements and open space. Abundant views of Long’s Peak and the Front Range provide a stunning backdrop. Award-winning custom builder Sopris Homes is now creating unsurpassed homes in this rarified setting that invokes the American West. Sopris Homes builds highly personalized homes that reflect your unique aesthetic, inside and out. Buyers can choose from a portfolio of innovative plans, collaborate on a custom design, or even bring their own plan. The Sopris team of architects, engineers, design consultants and colorists will partner with you to create the perfect blend of art and science. Ranch and two-story homes at The Farm start at 3,000 square feet, plus a basement. Each home will feature at least three bedrooms and three baths, which includes a five-piece top-of-the-line master bath. Other Sopris signature features include open, sun-filled spaces, dramatic chef’s kitchens with large center islands, walk-in pantries and custom cabinetry. Designer appliance packages enhance even the simplest task. Elegant floor-to-ceiling finishes make each home a haven of luxurious comfort. Thoughtful details, such as handy storage areas throughout, add livability to your home. Outside, your family will enjoy impressive living areas and minimum three-car garages for your autos and sports vehicles. Sopris Homes was the first Energy Star builder in Colorado, and continues this legacy at The Farm. All homes at The Farm at Woodridge will be built to Zero Net Energy (ZNE) standards. “Boulder County has some of the most progressive energy-use guidelines in the nation when it comes to new home construction,” explains Tracie Thede, Sopris Homes sales manager. The county’s BuildSmart Zero Net Energy requirements stipulate that all homes 5,000 square feet and larger that are built in unincorporated Boulder County must produce as much energy as they consume. The mandate will apply to all new homes by the year 2022. All homes at The Farm at Woodridge will be powered by solar photovoltaic panels that produce enough electricity to meet each home’s energy requirements. Excess energy produced by Zero Net Energy homes on sunny days is sent to the grid, creating “credits” that you can draw from on cloudy days. At the end of the year, you only pay for the cost to connect to the public grid. The term “green” gets used a lot by homebuilders, but what that means isn’t always black and white. Thankfully, there is a recognized industry standard, known as the U.S. EPA Energy Star program and International Energy Conservation Code. All Sopris Homes exceed the latest International Energy Conservation Code and carry an E-Star Colorado 5-Star rating and the Energy Star label. Sopris designs and builds homes that function as an integrated system, through smart engineering, quality-controlled construction and performance testing. The heart of your home is driven by a high-performance system that integrates heating, cooling, air circulation and moisture control technology for efficiency and cost savings. You are assured that your home is comfortable, efficient, durable and environmentally responsible. 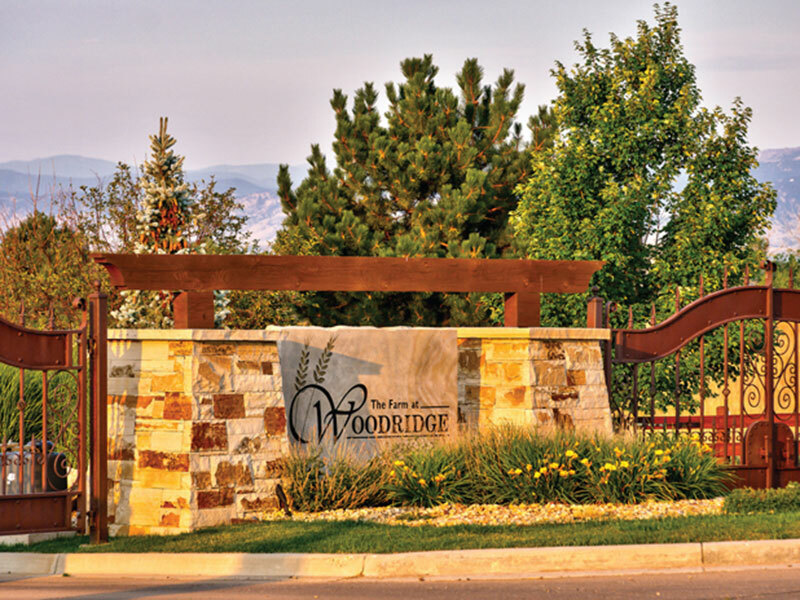 Your Sopris Home at The Farm at Woodridge comes with a one-of-a-kind comfort and energy usage guarantee. Sopris guarantees that the temperature will not vary by more than three degrees between rooms, resulting in a consistently comfortable living environment and streamlined energy costs. Sopris Homes was the first builder in Colorado to offer this guarantee, a nationwide program. Sopris Homes has reserved 27 sites including six existing homes and four privately-owned home sites. The remaining 17 exceptional home sites at The Farm, range from one acre and up. You will experience a true country feel here – a sense of place that bids you to regroup, relax and renew. But when city life calls, you are still just minutes from all the amenities and services you need. Longmont’s new Village at The Peaks shopping district has a full roster of restaurants, specialty shops and entertainment. Shopping along Main Street is a great way to experience the local history of the area. Denver International Airport, Estes Park and Rocky Mountain National Park are each less than an hour away. The Farm at Woodridge is in the St. Vrain School District, and is served by Northridge Elementary School, Longs Peak Middle School and Longmont High School. The Farm at Woodridge is located north of Highway 66, west of Highway 287 at Vermillion Road. Construction will begin soon on a Pagosa plan model home and a spec Aspen plan ranch home. Now is the perfect time to reserve your site and begin planning your new home. This article was originally written by L.L. Charles, At Home Colorado.